Watch Tuesday, August 19, 2014 at 7:30pm on WMHT TV. How did a small city in upstate New York become linked to some of the greatest names and events in American history? Abraham Lincoln, the Battle of Gettysburg, the Golden Spike Ceremony, the 20th Century Limited, and the campaigns of World War II all play a part in 'The Iron Horse in Schenectady: Locomotives for the World,' a one-hour documentary detailing the history of the American Locomotive Company. Spanning the years 1831 to 1969, The Iron Horse in Schenectady tells the story of the men, women and locomotives that once made Schenectady 'The City that Lights and Hauls the World.' 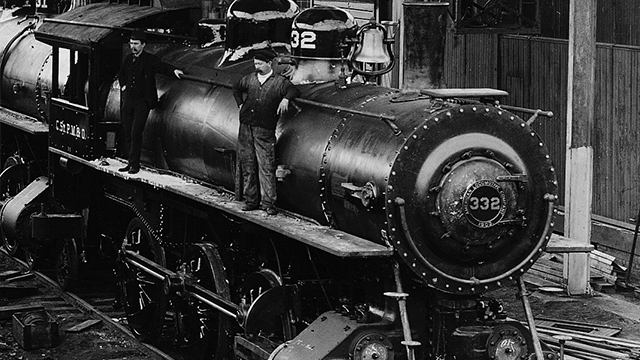 Through extensive historical research and interviews with former ALCO employees and their families, the program brings to life the rich visual history of the company and people who built the original Jupiter, Hudson, and Big Boy locomotives and provides a classic illustration of how railroads connected one community to history.